Making a nostalgic nod to his earliest memories of second hand men's wear, Danish fashion designer Mads Nørgaard puts his own stylish spin on the Artek Alvar Aalto Stool 60. A black, Harrison tweed-like pattern named "I like stripes vol. 2" embellishes the seat of this peice. One of Nørgaard's go-to garments, the textile-inspired design coordinates well with the natural birch, resulting in a chic and sophisticated product. 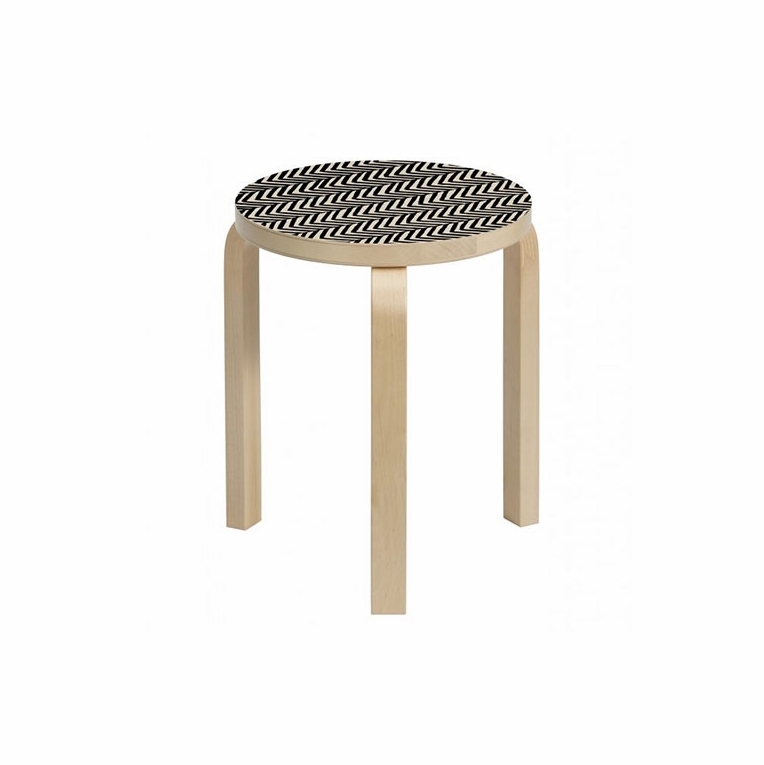 A trendy take on a classic design, the Artek Special Edition Mads Nørgaard Stool 60 is a special piece.Please review our Shipping Information page before ordering. Payment: 50% will be charged at time of order, remainder will be charged at time of shipment.